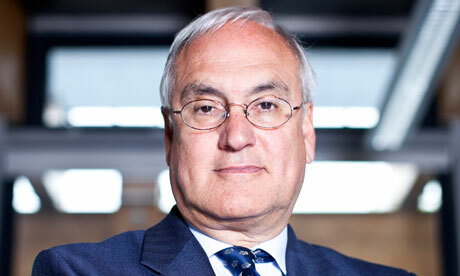 The news about Michael Wilshaw considering his future isn’t surprising. The Head of Ofsted is a poisoned chalice for anyone with an interest in the future of our young people. Being a Gove mouthpiece is not a role for anyone with experience in education who would put a child ahead of some government target or lame initiative. I work in schools every day (not as a teacher) and see them trying every way they can to inspire and motivate pupils to achieve their best. As has always been the case, the kids who can pass exams will, those who can’t won’t. I appreciate there’s a grey area where some borderline kids can go up or down a grade but it’s not a benchmark for a good school to judge them on how many kids can sit and regurgitate a range of facts at a certain time on a certain date. I thought we were preparing them for a future in work. I also work with local business and no-one has asked for this skill. They want fully-rounded individuals ready to do a day’s work and achieve great things for their company. Schools who try to give their pupils the full experience have to do it with reduced funding and Ofsted slamming them for not turning out automatons, not allowing for ability, family background and the efforts our fantastic schools put in to keeping them on track. Yes Mr Wilshaw, it’s a crap, pointless job and will be over when the Conservatives lose the next election because they continue to get every key decision wrong. Putting you in place was one of them.